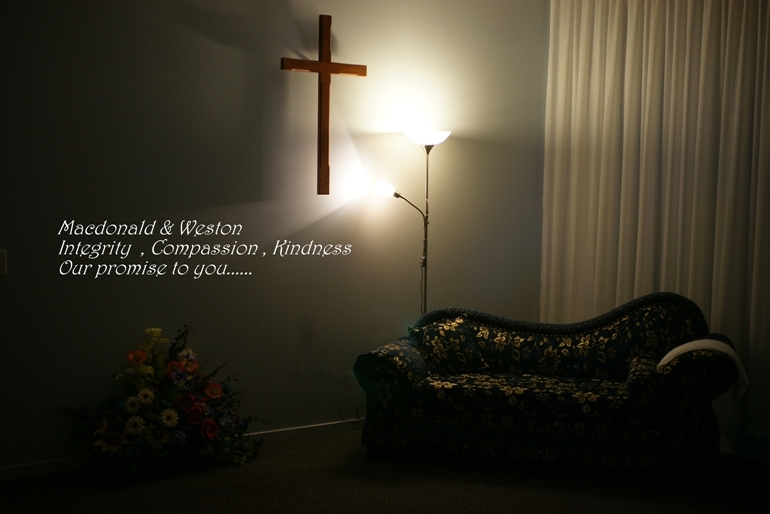 Macdonald & Weston Funeral Home has had a long history in Invercargill and Southland. It goes back to when the original company of Kingsland and Ferguson Ltd. Was founded in 1881 by Henry Kingsland, who was joined by William Ferguson and they continued to operate until 1910 when the business was purchased by John Hays Pay and John Edward Taylor both employees of the original firm, and continued to operate under the name of Kingsland and Ferguson until 1923 when the name changed to Macdonald & Weston Ltd.
New Zealand prime minister Richard Seddon`s funeral in 1906 used a c1886 carriage hearse. 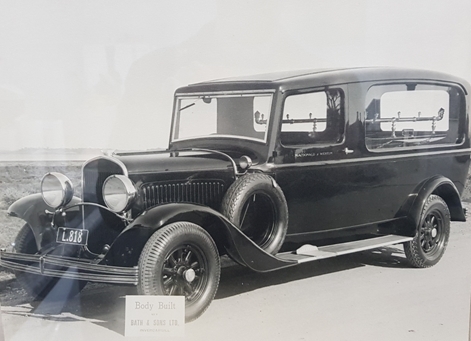 It was used in Invercargill by funeral directors Macdonald and Weston, The hearse is one of only three known to have survived in New Zealand, The three hearses are held in the Yaldhurst Museum, Christchurch, the Naseby Early Settlers' Museum. 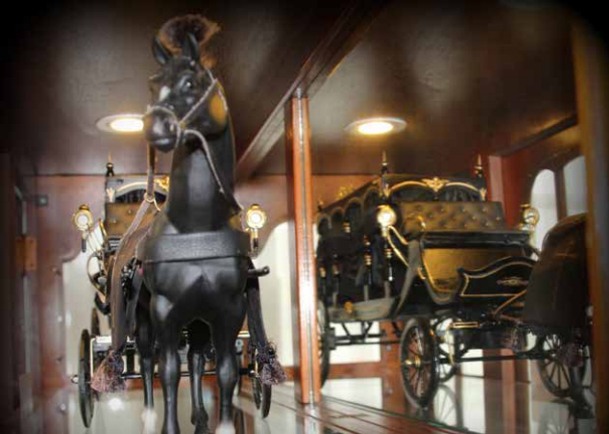 Naseby, Otago and the Museum of Transport and Technology (MOTAT), Western Springs, Auckland. The records are not clear which one was ours. 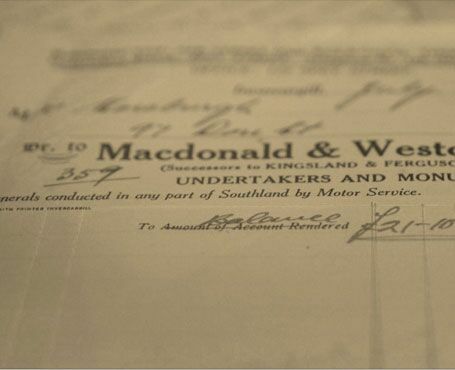 The firm of Macdonald & Weston Ltd. has had a long record of service to the public of Southland and the City of Invercargill and has endeavoured at all times to keep pace with the changing times in which we live by the provision of first class premises, modern vehicles and equipment; and at all times a quiet and efficient service to the public.